Memorial Day has come and gone and now we find ourselves slipping into summer time. This means lazy beach days, barbeques and plenty of swimming to help combat the Florida heat. While all of these things sound wonderful, especially if you are reading this while sitting in a cubicle staring out at the Florida sunshine, it is important to remember to take a few precautions to keep your eyes safe this summer. Our skin isn’t the only part of our body that needs to be shielded from the sun. Studies have shown that the harmful UV rays that burn our skin can also be linked to the formation of cataracts and macular degeneration later in life. Break out your big, floppy hat to show off while you lounge by the pool or at the beach. Hats can help to block any sun that may sneak in around the edges of your sunglasses. Swimming pools, oceans and lakes are all full of microscopic organisms. When submerged in these waters, our eyes are become vulnerable to them. This vulnerability can lead to serious eye infections. The use of goggles can help prevent infection-causing water from entering the eyes. Contacts are often used more in the summer because of the convenience that they provide to us. It is important to try to avoid wearing contacts when swimming in the pool. As we have learned, swimming pools and other bodies of water have many microscopic organisms living in them. These organisms can find their way into your porous contact lenses and cause eye infections. 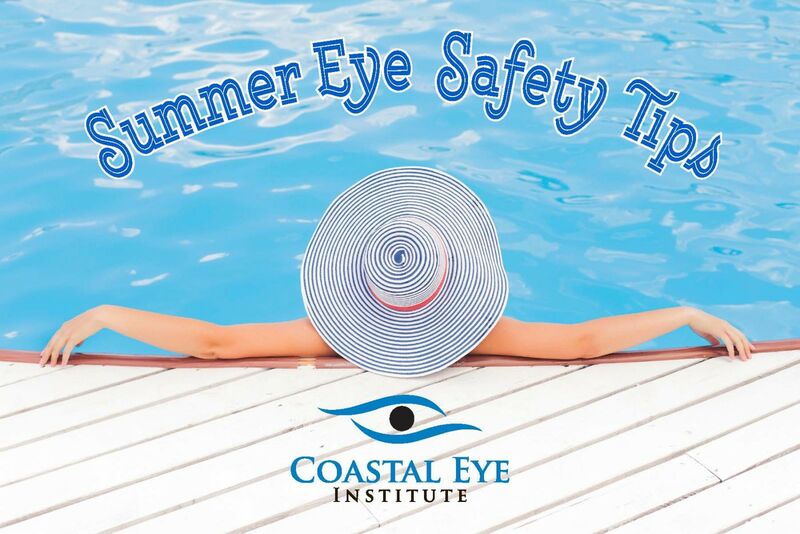 If you must wear your contact lenses while swimming, make sure that you wear goggles to protect your eyes from the water.